Acadia Insurance Christmas Holiday Luncheon ! Perfect! So easy! Excellent! Mark did a great job as always! Very flexible to work with. Goes with the flow and entertained our employees delightfully! He’s excellent and our employees really enjoyed this years Holiday party! Merry Christmas to people who need it !! Donna and Robert got married ! Our experience working with your office to book our event was amazingly easy and professional on every level! Our experience working with CKE team member, for us John and Sandra Maroudas, was absolutely PERFECT!!! John and Sandra were a joy to work with. They had such a wonderful positive, easy to work with attitude and most definitely made our wedding music just as we imagined it would be. John and Sandra were incredible!!! We had been at a friends wedding a little more than a year prior to ours where John and Sandra were the DJ’s so when we became engaged we knew immediately who we would hire. John made the process of choosing music selections/suggestions easy and fun and he and Sandra made our night a fun and memorable event. The dance floor was never empty and our guest are STILL talking about how fabulous the music was and how amazing John and Sandra were; classy, professional, flexible and fun!!! MIT Dept Of Chemistry annual Karaoke Gala !! Corporate Event with Karaoke ! Thanks again Curtis! Everything was great! Booking the event was smooth and very convenient! I always have nothing but positive experiences with CKE – this was no exception. Thank you again! A Holiday Celebration for Advanced Programs ! Thank you so much, Ashley – Gail !! This e-mail and any attachments are solely for the use of the addressee and may contain L-3 proprietary information that may also be defined as U.S. Government export controlled technical data. If you are an unintended recipient of this e-mail, use, disclosure or distribution of its content is prohibited. Please notify the sender by return e-mail and immediately delete this message. Booking was very easy. The process was Very easy. He did a great job. CKE Team Member (s): Rolling Rick Colbourne Working with our office was Very easy. Rick knew what we wanted and kept the mix of music going so that it made for a very enjoyable evening. Rick was very helpful. Holiday Party for Morpho Detection ! Christmas party for Care One at Wilmington ! You did great! It was a great party and everyone had a blast. You and Anna were awesome and kept everyone on the dance floor ! Thanks again. A holiday celebration for the heroic teachers of THE LEAP SCHOOL !! A surprise 60th Birthday for his wife Donnalynn! Good Morning Curtis, booking ..I felt that it was enjoyable experience,very professional. I give your Team Member … 5 Stars. was very professional, all our requested songs, she played, she got involved with the party, my guest thought playing a game was a smash. Because she did my party, she got a booking for another party. Thank You so, much for being there for my wife’s 60th B/D Celebration.!!!!! A Birthday celebration for Tommy and Billy Seidl ! Of my friends will be hiring you. Booking was no problem. Looks like you are a busy guy because we had to wait for a while to get a free slot. Pleasurable experience. I enjoyed the humor and how you handled the kids. I think the Team Member Curtis did his best. Hi Curtis- Thank you so much for your help with our event. Anna was fantastic- friendly, professional, responsive and kind. We loved having her there, she fit right in! Everything went very smoothly. Video for Lisa and brien’s wedding day ! OMG, Curtis, we love it too!!!! I actually called you right away, but when you didn’t answer, I realized… Duh… it’s Saturday and you probably are out doing your thing at a wedding! 🙂 I will call you next week to rave!! Tell Michael thank you soooo much! And now we are even more anxious to see the whole DVD… but we don’t want Michael to hurry… he should take his time & get it just right!!! A 40th Birthday Celebration for her husband George ! Curtis, Everything was great! Thank you! CKE Photo booth for Gina’s wedding day ! 3) KATHY: You guys are the Best!!! I used you for my sons wedding party a few years ago and was looking forward to using you again. Mark Cherone was my sons guitar teacher for years. I will recommend you to everyone I know, and hope to use you again! Thanks! Awwwwwwwww…fiddlestix ! : – ( Sorry that had to happen ! People make me crazy ! Thanks for letting me know. I was happy to refund 100% of your deposit ! You should have already received it! It was a pleasure to almost serve you, Kathy ! regrettably, I have to cancel my order of a DJ (Jeanne) for our reunion party on November 28, 2015 at Melrose Knights of Columbus. (Assumption CYO Chelsea). Unfortunately, we did not sell enough tickets to fill the hall and justify a DJ, so they are making plans for a dinner now. I paid a deposit. If she is re-booked, (I know it is short notice) is there a chance of a refund? No one is more disappointed than I.
Karaoke and DJ for the Students ! DJ/MC, JP, Photo & Video: Kathleen and Joe got married ! CKE Team Member (s): Curtis and Anna: DJ / MCs, Curtis Knight: JP, Anna Shelbaer: PHotography with editing, Curtis Knight: Photographer, Steve Clements: Videographer, Steve Clements: Video editor. http://www.ckephotos.com/bombino Curtis, JP for Kathleen and Joe ! 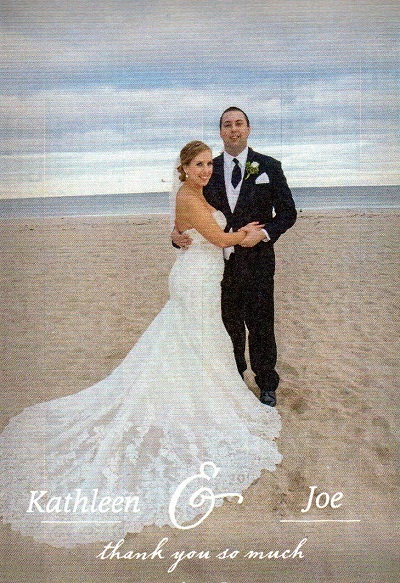 Joe and Kathleen’s wedding photos at Hampton Beach! 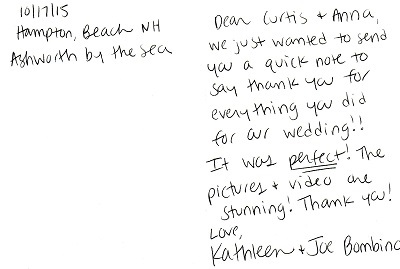 This note was sent by Kathleen and Joe after their incredible wedding at Hampton Beach. Photo and JP for Macayla Rooney – Billy Rooney ! Thomas Philbrick – Sarah Noveroske got married ! Abigail and Adam got married ! Curtis and Anna, Thank you so much for making our wedding day even more special. You boith helped aliviate a lot of the stress. We greatly appreciate all that you did. Ken Millett / Middlesex County Deputy Sheriff’s ! “Bull Session” Luncheon for Tin Can Sailors !! Very simple and easy, very cooperative. Anna could not have been better. She played the right music, controlled the volume at just the right intensity and faded when appropriate. Would highly recommend her for any and all events. Hey Curtis, It was amazing – he killed it! I got so many compliments about him, the music, and everything – I can’t imagine it having been any better!!! Thank you so much! Allison and Mike got married ! I wanted to share my thoughts on behalf of the Essex Room. I cannot say enough about how wonderful it was to work with Rick on this event. He was friendly to interact with, helpful beyond why he was there. Everyone on staff loved the music he played at all stages of the wedding. I was very impressed at his ability to understand and embrace his responsibility. Unlike some Djs we have dealt with, Rick knew he was there to make sure the guests had a good time and assure the bride and groom were the center of attention. The Essex Room and Curtis Knight Entertainment has enjoyed a long association and Rick was a wonderful representative. I know I hope he will be back soon and will recommend him and CKE for future events. A sweet 16 for the one and only Jade Kerry ! Hello, The party was a hit. The birthday girl and guest had a great time. Working with the office booking for the event was easy and pleasant. The CKE team member, Mark was great! He did an excellent job and was very helpful on some idea. Overall Curtis Knight Entertainment will be highly recommended for any future family/friend events. Christina and Rich are getting married ! Mike D- Thank you for exceeding our expectations and turning our wedding into one giant dance party! A month later and we are still getting compliments! Thank you again for an amazing night! 4 PAWS IN ACTION ! Hello Curtis, We had a grrrrrreat time on Sunday. Mark Cherone was wonderful! He really kept things moving and was always in contact with the MC. You should have seen him running back and forth to check on things. He was running as fast as the dogs. Yesterday the committee was sorting out items from Sunday, and they were all remarking on how much fun it was to work with Mark. Last year you were not at Four Paws, and we paid the DJ $300.00 total—$250 for what was asked & a $50.00 gratuity. I didn’t ask Mark anything about $. Mike and Michelle got married ! Bob, I was just going to email you! What a wonderful ceremony! It was really beautiful (my mom complimented how much she loved what you said too)! Thanks a million for being part of our day! Mike was right, you were the perfect guy for the job! Kristal and Josh are getting married ! Curtis, From the moment we walked into your office we knew we had to book your services. You made us feel as if we were part of a big family and made planning fun, even with a 3 week old baby in tow. You responded to emails, questions and concerns very quickly and took over planning when I had no idea what to do. As our justice of the peace you were simply amazing. Our ceremony was perfect. It was funny and very touching and sentimental at the same time. When we looked out at our guests many were crying one second and hysterically laughing the next. Many of our guests said it was the best ceremony they have ever seen. You added many special touches that We will never forget. We can’t thank you enough. Mark Cherone was our DJ and he was absolutely awesome. During our planning meeting he gave us great ideas as to what songs we should play for our entrance and such and they were a hit! He was on top of everything and even called a few days before the wedding to go over all the details. During the reception he was awesome! Our dance floor was packed and everyone commented how fantastic he was. 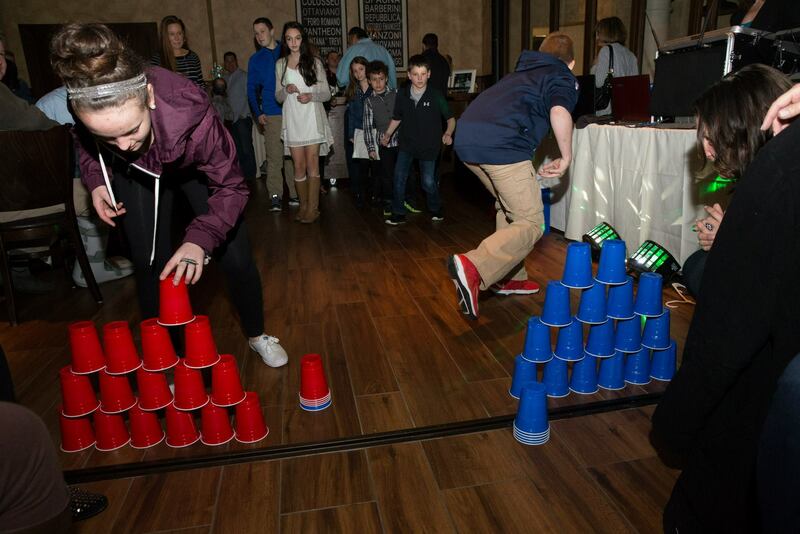 We played the sweet Caroline game and our guests had such a blast! Over all it was an awesome night and we can’t thank you and your team enough! Hi Mark, Thank you from the bottom of our hearts. You were amazing. Everyone had such a blast. The dance floor was packed all night and many of our guests said “best wedding ever!” We also received many complements about how awesome you were. Thank you again! Lenka and Joshua are getting married ! Mark, thank you so much for an excellent job. You were absolutely amazing. Our guest are still calling us to tell us you were the best dj they have ever seen. Engaged couples were all asking us for your info. You made our nite extra special. Kate and Evan are getting married ! Our experience was great! Anytime we wanted to email, call, or come in to talk about the event, we could. We went over all of the details meticulously which made me confident that everything would be taken care of. The website was also extremely well set up and helpful for going over details. Our experience with all of the CKE team members was amazing. Curtis did an amazing job keeping the day fun and entertaining, and making sure that everything ran smoothly. Anna did a phenomenal job with the music, including accommodating all of my requests perfectly. And anytime anything notable happened, Steve was always right there to capture it on video! The highlight reel was so well done and I can’t wait for the full video! A 50th Anniversary for Peg & Jack! Thank you, Caryn. I can’t say enough about the amazing addition you were to our event. Prompt, professional, courteous, respectful, attentive to our requests. Your selections were perfect for the group we had attending. Couldn’t have been better. ceremony at CKE Chapel ! Hi. Thank you for making this day so alive and right for the both of us. I feel that I could not be any happier the way u conducted the ceremony. My address is 29 connolly road billerica ma. Thank you greatly for the support. Ahh yes it was the best day! We can’t thank you and your team enough they were absolutely fantastic!!!! Allison and Gabe got married ! It was amazing! We couldn’t have been more pleased with Jeanie. She has an amazing energy/spirit and was a pleasure to work with. A sweet 16 for her Granddaughter, Arianna Rodrigues ! I am a repeat customer of CKE so I think that speaks for itself. I find their services to be exceptional, a cut above the rest. This was my first event with Mark Cherone and I find him very professional. He arrived an hour before the party to setup and get to know everyone. He was setup and ready before the event time. Mark Cherone made the party hop. He knew when to start games and get everyone involved. The music he played was just right for all ages. He announced when the food was ready and encouraged everyone to help themselves, he announced when we were ready to cut the cake and got everyone singing to the birthday princess. He got us all together for a group photo and selected the guest photographer. He was really in tune with everyone at the party and knew who to tap for certain things; he was really watching the crowd! And before his shift was over he checked with me to be sure we didn’t need him to stay longer; I really appreciated that. I felt Mark really gave us the best event. I highly recommend him for any party. 100/100…absolute blast, Mike D was awesome- compliments all around from all guests. Everyone says a DJ can make or break a wedding and he definitely made it! thank you so much for everything. 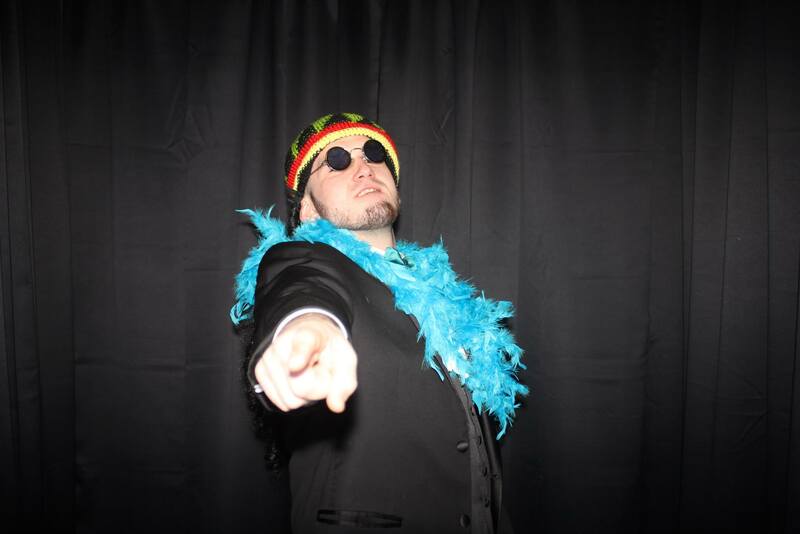 AND awesome job with the photo booth…great idea putting it in the ballroom so much fun and your photobooth attendant was great as well. thank you!! Allison and Gabe are getting married ! Photo Booth and Uplights ! DJ for her husband’s 50th Birthday Party! Courtney and Eric got married ! 20th High School class reunion ! Hi, I have returned from abroad and received your package! The Supersized prints look larger than life and the black/white photo is actually one of the finals I had chosen to be the poster for the next show! I will also watch the DVD and send any revisions to Anna shortly. Thank you. I LOVE it! Oh my goodness! I.. We.. Love it! There is a fight going on about who is keeping what picture! You’re an amazing person! Also, my supervisor is getting married and I gave her your information and she is very much interested. But again, thank you for you amazingness. A graduation party for her daughter, Jessica Infiorati ! A surprise 50th Birthday for her Mom, Brenda McCabe ! Hi Mark, Thank you so much for everything, everyone had so much fun and kept commenting on how great you were! A birthday party for all 3 of her kids ! PJ Alex and Jake! Celebrating 30 years in business ! Thank you Curtis and Anna for a memorable and fun evening! Booking the event was effortless. Great interactive website! Curtis and Anna were amazing! Upbeat, engaging, pleasant and professional. You guys are great to work with – Will definitely use again and recommend to others! Division of medicine graduation celebration ! AWESOME AND AWESOMER (YOU GUESS WHO WAS WHO) Another great night!! Thanks again for everything! Have a great summer. 2015 St Louis School 8th grade social ! Qiao and Tim are getting married ! 8th grade banquet for Franco American School! It was great. Curtis was very friendly and helpful. Anna was very good. She worked very hard. She was very engaging. She danced with the kids and gave us great positive feedback. CKE Team Member: Greg Gervais, with DJ, Projector and Screen. Excellent, excellent, yes!! See you next year! The Billerica Blast – 2015 ! Hi, I would happily give feedback to your company about my experience in working with CKE. I would give them a 5 star rating! We have used CKE for many years for our all night graduation party at Billerica Memorial High School. The office has always been accommodating and efficient with communication and billing. The representatives that come on the night of the Blast to provide music, karaoke and entertainment have always been alot of fun and kept the party hopping. Rich did a great job with the graduates last night and I got a lot of positive feedback from them. They really loved the big screen with video and pictures that he suggested. I would absolutely want to have CKE back next year for our 2016 Blast! 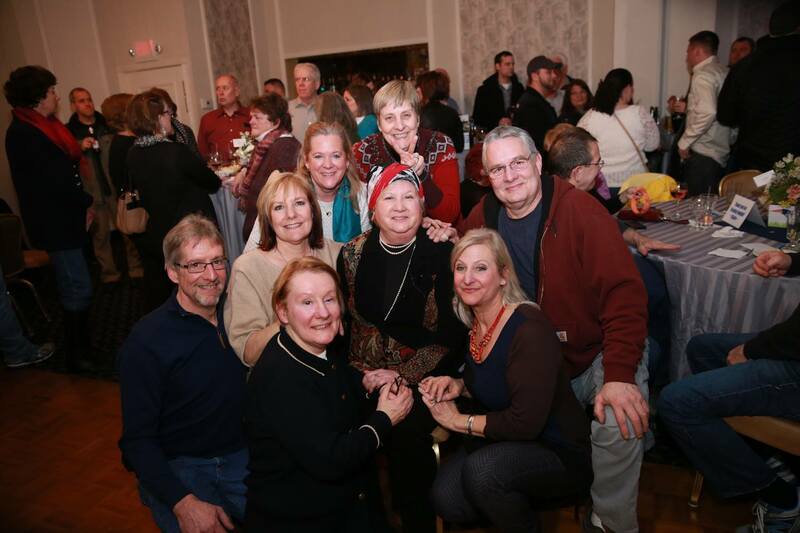 Thank you for making our 2015 Billerica Blast a big success! Sorry for delay, it’s been a crazy week. Just back in CA. I had hope to swing into the shop to say hello but time ran out. Everything went great, Mark was a pleasure to work with. He did a great job. I would highly recommend him and your services to others. He was thoughtful in his selection of reception music, during all stages, including; the cocktail hour, the dinner and “hit it out of the park” with the dance music! I would highly recommend CK Entertainment and Mark to others.., great job.., music makes the event and CK and Mark made it happen. It was a great party and we very much appreciate CKE and Mark for making it an evening we’ll always remember. All the best, Bill and the family. He had the dance floor full, it was great! Awesome job. I’m sure our paths will cross again. DJ, JP, Uplighting for Stephanie and Randy’s wedding day ! Always a flawless experience. Greg was wonderful! Last night was a great event. Greg was a pleasure to work with. I hope to have him DJ this event next year. Thank you so much! Absolutely amazing! Thank you so much for making our day even more special! My daughter got married on April 3, 2015. I can honestly say that Curtis Knight Entertainment made it one of the most enjoyable, festive, respectful, emotional weddings I have ever been to. Everything was done right. Nothing was left out, not too much of anything – just right. I would recommend Curtis Knight Entertainment to anyone who would like to have a nice wedding to remember. It was so much fun I’ll have to get married myself just so I can go back. AWESOME!!!!! My wife Julie and I can’t thank Curtis and his team enough on the spectacular job they did on our wedding ceremony!! Everyone was talking about how it was a very memorable, slightly different from the norm but sweetest and most touching ceremony they have ever attended. The pictures and video that were done are highly outstanding!! We loved them! Friends and family, including ourselves, will cherish the memories of our ceremony!! CKE comes HIGHLY recommended to any couple who want to do their wedding, wether large or small… CKE will do it your way….the right way….they will not disappoint!!!! Video for Crystle and Tommy’s Wedding! Curtis and Anna ~ We loved you guys and were so happy we found you! I emailed Curtis about a Surprise 50th Birthday Celebration. Curtis responded within the hour and shortly after that we spoke and booked the Dynamic Duo Curtis and Anna package, DJ and Photography. We enjoyed the personalities of both and they kept our party entertaining. Not a dull moment. Music was great, a few games were played to keep the crowd smiling. They displayed a slide show that had old pictures I sent to them in advance and new pictures that they took during our celebration. The Birthday Guest himself was extremely pleased with Curtis and Anna. I am extremely thankful they were available for our event and not sure what I would have done without them. Curtis and Anna, THANK YOU! I would recommend you a thousand times over. The game “21” was a hit at Lou’s Surprise Party! I just wanted to let you know that Mark Cherone did an outstanding job at the North Suburban bus driver’s appreciation dinner this past Saturday night (3/7/15). The party was held at the St. Anthony Club in Woburn, MA. The DJ did a great job in engaging everyone and it was apparent that all of the people involved had a wonderful time. I told the DJ about how much fun all of us were having but I really didn’t need to tell him because the place was hopping from start to finish. Thanks, again, for helping to make the event such a success. Sweet 16 Celebration for Corinne! Kerry and I had a great time meeting with you yesterday and discussing all the services you provided and a detailed version of your take as the DJ, Videography, Photo Booth, Uplighting, and JP. We loved how involved you were in conjunction with our desires for the wedding and reception. Honestly, the best presentation we have had yet from any vendor we have searched out. We are going to make the decision soon, I will be emailing you on this coming Monday to let you know how we are going to go after some detailed review over the weekend when we watch the videos you sent over as well as some other things we have in mind but you are right at the top. Again, We really appreciate the time and effort you took out of your day to discuss and share your thoughts and abilities that your company is capable of. 1.Truly as good as it gets! C.K. should be the first call for all entertainment / party needs. I used C.K. to video tape a benefit party for my mother who was recently diagnosed with cancer. I now have a wonderful movie to show future generations of my family. It was a marvelous night and C.K. Entertainment captured it all to watch for years to come. Very professional staff for all levels of entertainment. It was such a relief to talk to Curtis. I was reassured that they had all the appropriate, up to date equipment and only the most competent people would be running it. The staff was very punctual, respectful and willing to make my night special. it wasn’t hard to see they had much experience with these types of parties knowing where to be at the right time. They took pictures and plenty off video of the entire night. I’m looking forward to using there services in the future and making sure my friends and family know the good name of Curtis Knight. Thank you once again for the wonderful discount off your video services for the Claire Cloutier Benefit. I did get the videos and they are great!!! Precious moments at the Fundraiser for Claire. We love you! 2.My experience working with the office was great – everyone was prompt in their email and other correspondence responses, and generally just a delight to work with. I felt totally comfortable with everyone I interacted with at CKE, and had complete confidence in everyone. They were reliable and amiable to work with and a great hit with the crowd! I’m looking forward to working with Curtis and Anna again in the future! The evening was awesome! Mark was professional, on time and terrific! I would definitely use him again! Booking – awesome, fast and painless. Mark was on time, set up perfectly, great music, games and personality! Would love to use again. Thank you the night exceeded our expectations!